Cuckoo Wood at Wye Valley Woodlands (NRW)0300 065 3000work Forest or WoodlandCuckoo Wood is a large, predominantly broadleaf woodland that overlooks Llandogo. Mostly oak and beach with some cherry and ash planted from 1880 onwards. 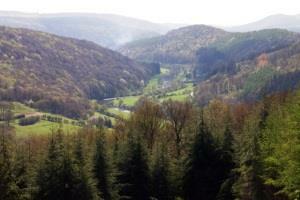 Cuckoo Wood is a large, predominantly broadleaf woodland that overlooks Llandogo. Mostly oak and beach with some cherry and ash planted from 1880 onwards.